Once a person is arrested they are taken to the local jail for processing. The processing (booking) takes about 1-4 hours to complete. Once the booking process is complete the arrested person will have the option to stay in jail or bond out. “ANYTIME 4U BAIL BONDS“ has rapidly posted your bond, the defendant will be released within 4-12 hours depending on the process that occurs at the Correctional Facility and how they release their inmates. 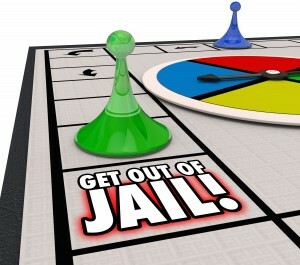 Depending on the seriousness of the crime committed, it is possible to have your bail posted right after being booked. It may be necessary to wait -usually less than 48 hours – for to go before a judge and learn about the eligibility to post bail and what the costs are. Some areas have set bail amount rates. In many cases, the judge is able to decide on the bail amount, depending on the severity of the crime. The judge will use a number of things to determine how much bail is required – if it’s even going to be permitted. Among the things the judge will consider are: whether there is a criminal record, has the defendant been making proper court appearances, does the defendant have any ties to the community, is the suspect a danger to others and any additional concerns that may affect the defendant . Sometimes, bail may be completely waived. Bailing someone out of jail is an easier process than you may think. You simply call us at (808) 518-3507.